Welcome back to our part Real Estate negotiating series. In our last article we talked about the key elements to successful negotiating. If you missed that article, just click HERE so you can catch up. Today we are going to review some common negotiation techniques that you can use in your real estate negotiation activities. Real estate is all about relationships. Hence it’s important to nurture those relationships even when you are hammering out a deal. 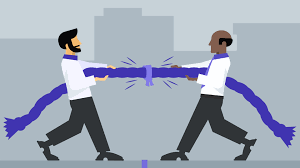 Negotiating should result in win – win results for all parties. I’m sure there are plenty more, but here are 7 common negotiation techniques that you can use to help close your real estate transactions. When someone asks for something from you, never give it to them without asking for something else in return. Use the “trade off” EVERY time your opponent asks for something. This stops them from asking for more concessions. Try not to concede something without getting something else in return. This prevents them from constantly “nibbling” at you to ask for more. 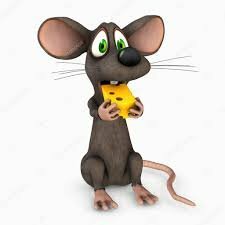 A mouse nibbles at a piece of cheese with small bites until it’s completely gone. The “Nibbling” technique is where you ask for small things, one at a time, and getting agreement on each until you’ve gotten a lot. This technique works because each request is small. Because they are so small it’s very easy for the person to give in. Always be conscious that other’s aren’t trying to do the same to you. This is a very simple technique. It’s when someone asks you “Is that the best you can do?” Or “You’ll have to do better than that”? You don’t actually specify what you want them to do. Many times the other party will actually improve their offer when you ask or say these simple questions or statements. Or, perhaps the seller may consider adding some concession to the deal. People often negotiate against themselves. If they are motivated to sell, they are eager to make a deal so they will often counter with a better offer. What if you find the Vice technique is being used on you? If the other party says “You have to do better than that”m then you can counter with “Just how much better would I have to do?” It puts the ball back in their court. I label this technique as a dramatic technique. 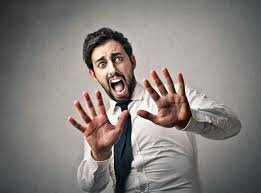 With the flinch you are trying to convey a sense of disbelief. For example, when the seller makes a statement on what they can offer…i.e. “OK fine. I could sell it for $1,200,00″, then you do a physical or audible wince or flinch to their reply. The seller reads your visual and audible cues and it makes them realize that they need to make the offer better. You might want to practice this in the mirror a few times to make sure you don’t over do it. You can use the flinch technique and then follow it up with the “vice technique’s “You’ll have to better than that.” statement for a one -two punch but only figuratively of course. Many people start off in a negotiation by giving small concessions up front. Then in the last part of the negation they make bigger concessions. With the withdrawn offer technique, you actually do the reverse. You make 1-2 large concessions at the beginning of the negotiation and then make smaller and smaller concessions as your progress. You are withdrawing more and more. This quickly signals to the seller that you are coming close to your final price. The Key: Start big and then go small. For example, you come in with your offer higher than the asking price (I.e. 25% lower than asking. Come in quite high in your price, and then immediately make a big drop in price to show you are making efforts to negotiate. Then when they counter back with smaller and smaller price cuts. It’s a good way to stop people from haggling with you. You have come to the end of the negotiation, and you still have a few issues to resolve. Both sides can’t come to an agreement, so you decide to make your final offer, and ten get up and go reach for the “doorknob” to signal you are leaving the negotiations. This is the Door-knob technique. It’s another of the dramatic negotiation techniques. Many times the seller will pull you back and offer a better price. This is another tough guy technique. It’s common with car sales people. Use caution with this technique. You need to understand the level of motivation of the seller for this technique to be successful. You may be shooting yourself in the foot if the other side lets you keep walking out the door. 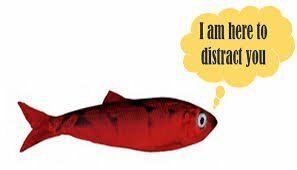 A red herring is defined as something that misleads or distracts from a relevant or important issue. With this technique you put something into a contract that you don’t care if it gets red inked by the seller. For example, you can add in a long Due Diligence period, or small earnest money deposit, or long financing terms….etc. 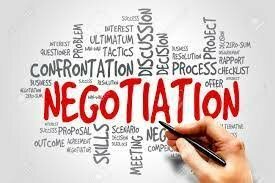 As you can see there are many negotiation techniques that you can use to help close a real estate deal. You can use one or several of them. Regardless of which ones you use, don’t lose site of the bigger picture. You always need to remember that you are trying to solve the seller’s problem. You are looking to have a win-win outcome with your negotiations. Stay tuned for the next article in the real estate negotiations series where we will look at motivated sellers and how you can use their motivation to assist you in your negotiations. If you want to learn more about real estate negotiation techniques, or how investing in real estate can benefit you, Contact us.